Yesterday began Lent in the Christian faith. 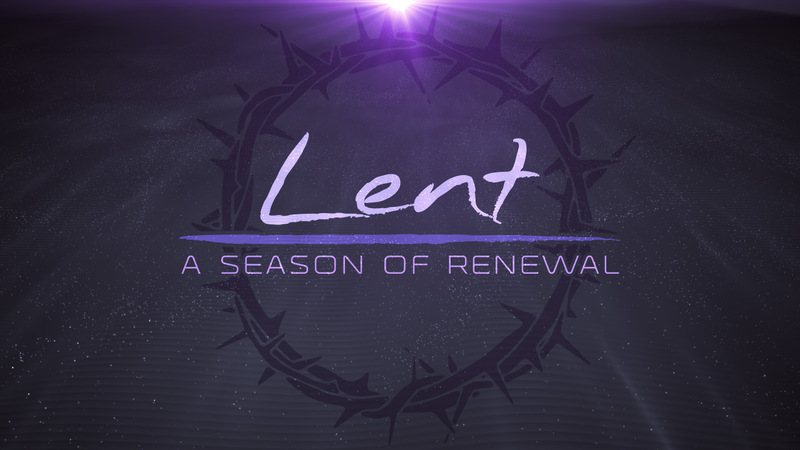 Lent is a season of the Christian Year where Christians focus on simple living, prayer, and fasting in order to grow closer to God. It’s the forty days before Easter. Ash Wednesday usually begins with a service where we recognize our mortality, repent of our sins, and return to our loving God. We recognize life as a precious gift from God, and re-turn our lives towards Jesus Christ. We may make resolutions and commit to change our lives over the next forty days so that we might be more like Christ. In an Ash Wednesday service, usually a minister or priest marks the sign of the cross on a person’s forehead with ashes. In Jewish and Christian history, ashes are a sign of mortality and repentance. Mortality, because when we die, our bodies eventually decompose and we become dust/dirt/ash/whatever. Repentance, because long ago, when people felt remorse for something they did, they would put ashes on their head and wear “sackcloth” (scratchy clothing) to remind them that sin is pretty uncomfortable and leads to a sort of death of the spirit. This was their way of confessing their sins and asking for forgiveness. At an Ash Wednesday service, we are invited to come forward to receive the ashes. The minister will make a small cross on your forehead by smudging the ashes. While the ashes remind us of our mortality and sin, the cross reminds us of Jesus’ resurrection (life after death) and forgiveness. It’s a powerful, non-verbal way that we can experience God’s forgiveness and renewal as we return to Jesus. The color purple is also used during this time to denote our sadness of heart over our sins against God’s love. Why “DO” Lent? How do I start? Are you searching for something more? Tired of running in circles, but not really living life with direction, purpose or passion? It’s pretty easy to get caught up in the drama of classes, relationships, family, and work. Our lives are filled with distractions that take us away from living a life with Christ. We try to fill the emptiness inside us with mindless TV, meaningless chatter, stimulants, alcohol, too many activities or other irrelevant stuff. We run away from life and from God. FASTING: Some people have been known to go without food for days. But that’s not the only way to fast. You can fast by cutting out some of the things in your life that distract you from God. Some Christians use the whole 40 days to fast from candy, tv, soft drinks, cigarettes or meat as a way to purify their bodies and lives. You might skip one meal a day and use that time to pray instead. Or you can give up some activity like worry or reality tv to spend time outside enjoying God’s creation. What do you need to let go of or “fast” from in order to focus on God? What clutters your calendar and life? How can you simplify your life in terms of what you eat, wear or do? SERVICE: Some Christians take something on for Christ. You can collect food for the needy, volunteer once a week to tutor children, or work for reform and justice in your community. You can commit to help a different stranger, co-worker or friend every day of Lent. Serving others is one way we serve God. PRAYER: Christians also use Lent as a time of intentional prayer. You can pray while you walk, create music or art as a prayer to God, or savor a time of quiet listening. All can be ways of becoming more in tune with God. 10. Try an electronic fast. Give up TV, Facebook, texting, tweeting, e-mail and all things electronic for one day every week. (Or everyday of Lent!) Use the time to read & pray. 9. Start a prayer chain. Each day of Lent, pray for someone. 8. Go deeper into the Bible. Take a course, find a bible study or go online. 6. Give up soft drinks, fast food, tea or coffee. 5. Create a daily quiet time. Spend 10 minutes a day in silence and prayer. 4. Cultivate a life of gratitude. Write someone a thank you letter each week and be aware of how many people have helped you along the way. 3. Participate in a Lent Photo-a-Day practice and pray each day with your camera in your hand. 2. Volunteer one hour or more each week with a local shelter, tutoring program, nursing home, prison ministry. 1. Pray for others you see as you walk as you walk to and from classes or drive to and from work. Find a place for hope to enter, and belief that we are freed. The things in life that really matter, and who we are supposed to be. So God has room to enter in and fill us with His love and grace. For we are children of the great creator, bound in love indeed! This entry was posted in Faith, Inspiration, Motivation, Nourishment, Poetry, Reflections and tagged Christian faith, Faith, Inspiration, Lent, Lenten season, Nourishment, poetry, renewal, soul searching. Bookmark the permalink. Bound in love, indeed! There is also a saying: DETACH WITH LOVE.